I am not naturally a dog person. There was one dog Peepers, a red collie we grew up with, that I loved. She would roam the fields and golf course near by. Life was wild then. 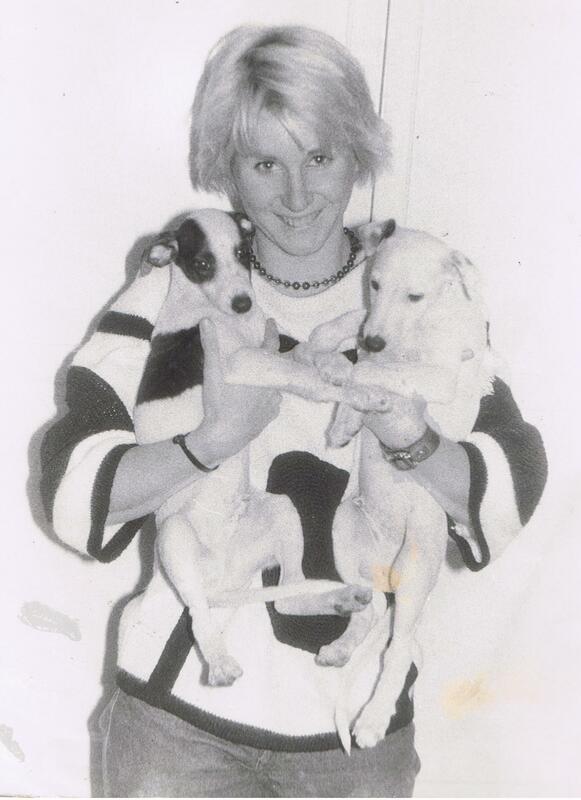 In the late 1970s my sister-in-law breed Whippets. I learned to loved her dogs. They were thin and very loving. This particular picture is a fun one. The sweater I am wearing was found at a thrift store in the late 1970s. It was my Jackson Pollock sweater. Most of my clothes then were throw backs from the 1950s: twenty buck’ got you a lot of clothes from the local thrift store or salvation army. I wore this sweater until it was threads. This entry was posted in 1970s and tagged 1950s, 1980s, collie, Devo, Hudley Flipside, Jackson Pollock, late 1970s, Nola, salvation army, sister in law, sweater, The Salvation Army, thrift store, Whippet, whippets. Bookmark the permalink.